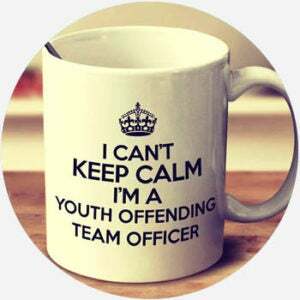 YOT is an acronym for Youth Offending Team, a crime prevention program in England and Wales for at-risk youth. The YOT Management Board had recognized that their effectiveness had declined and work was already in hand to reverse this. @TendringCSP hub in full partnership mode today with a number of agencies working in the same room. #socialcare #yot #housing #homelessofficer #essexwatch #TDC. #workingtogetherforabettercommunity. Critically it was young people’s deeds, their status as ‘offenders’, which enabled entry to the YOT club and its attendant services, and the object of the system was primarily the correction of faulty individuals, rather than amelioration of the social conditions that generate and sustain offending. Where does YOT come from? In England and Wales, the practice of the YOT, or Youth Offending Team, was established in 1998 by the Labour Party through the Crime and Disorder Act. YOTs are designed to help kids under 18 in criminal or at-risk situations from reoffending or falling into crime. Such youth are called young offenders in the UK. YOTs work with local authorities like the police, public services like health, housing, and education programs, and other community groups to give them interventions to address their risk issues (e.g., drugs). While some regard YOTs as a positive use of taxpayer funds, critics view it as an ineffective and thinly veiled school-to-prison pipeline, with enrollment in YOTs only serving to stigmatize youth and failing to address deeper issues of poverty and violence putting young people at risk. The acronym YOT is mostly used in England and Wales, familiar to a large array of professionals including social workers, psychologists, educators, police officers, judges, and council members—not to mention youths themselves and their families involved in YOTs.